We can provide professional and courteous care and customize it according to your needs. We have a free assessment and coordinate care with your physician and other medical practitioners to ensure that quality care is delivered. 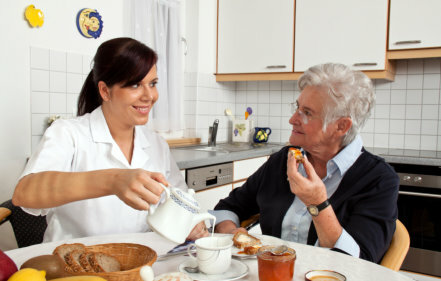 Our staff is available 24 hours a days, 7 days a week to answer any questions about Home Care Service in Waterbury, CT.
Our personal care caregivers provide assistance with bathing, dressing, incontinence, safety oversight and mobility assistance. Performs a various light housekeeping activities, meal preparation when the client is unable to handle these responsibilities. Provides an individual with continuous monitoring, supervision, and coronation of daily living activities on a twenty four hour basis in the individual’s private home or facility. Our respite care service can be for a few hours or if you need a longer time, we can create a schedule that best fit your needs. Many caregivers that we refer have extensive experience with dementia patients. Caring for the increasing numbers of individuals with Alzheimer’s disease has enabled these caregivers to develop the special skills necessary to manage patients with dementia and bring about the best possible outcomes for patients and their families. Contact us today – and see how we can make a difference in you or your loved one’s life. You can reach us at 800-723-1794 and 203-818-8017.